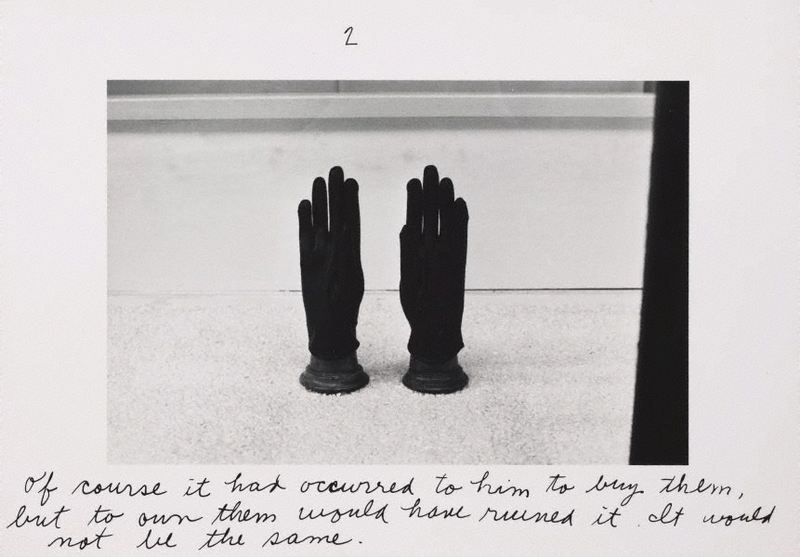 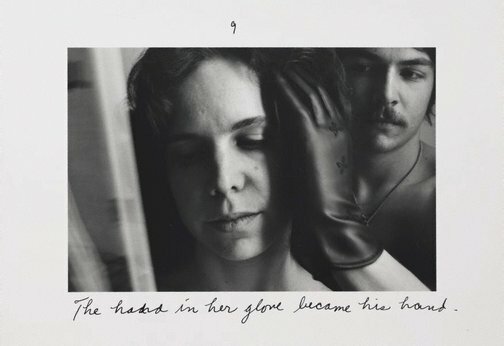 Duane Michals uses visual narrative, symbolism and metaphysical imagery to interpret the human condition. His photographic sequences have a film-like appearance and represent intangible elements of dreams, imagination, death, time, myth and spirit. 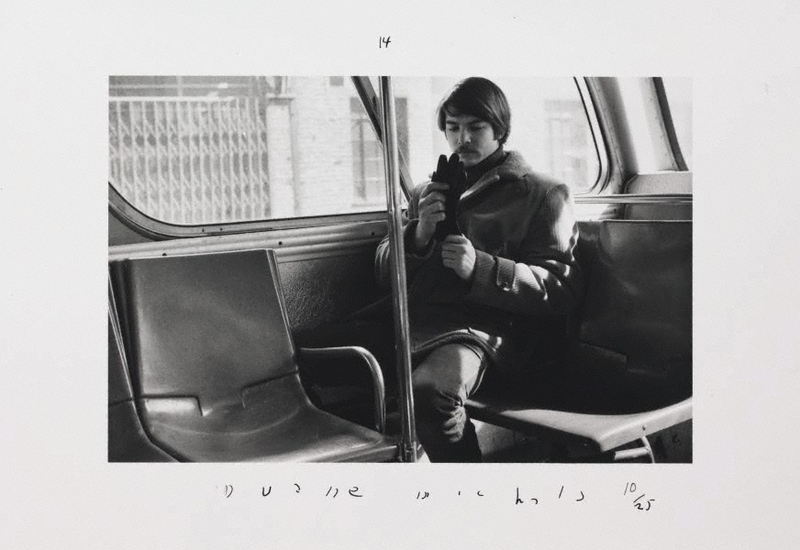 A freelance commercial photographer, Michals began experimenting with sequence works in the 1960s, later adding text to illuminate emotion and philosophical ideas and following in the tradition of painters such as René Magritte and Giorgio de Chirico whom he greatly admired. 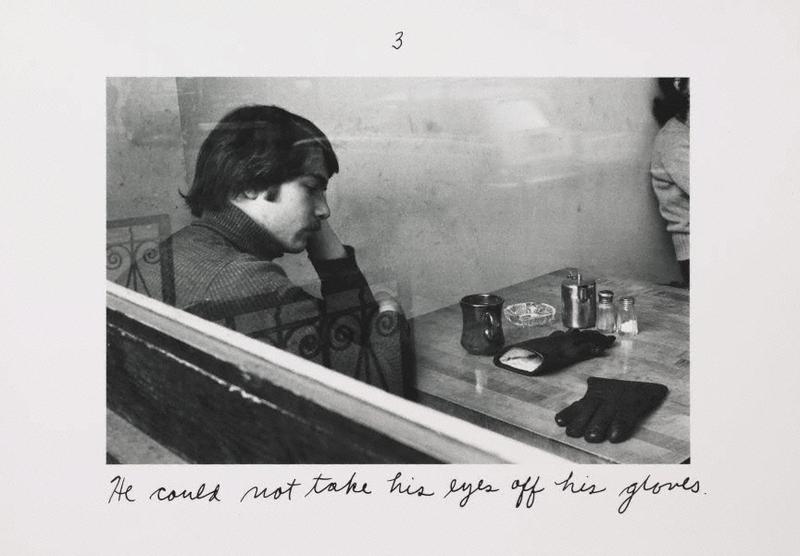 His staged, fictive tableaux vivants are intimate scenes that explore the atmosphere of the invisible and metaphysical, such as the pictures of empty New York shop interiors that he regarded as stage sets waiting to be animated. His use of blurred motion techniques, such as in a portrait of Andy Warhol in 1973, is an attempt not to document life, but to evoke phenomena, mystery and the curious, recalling the Bragaglia brothers’ early attempts to record movement and spirits. The enigmatic encounter of ‘The pleasures of the glove follows’ the lead character as he fantasises about a pair of gloves on the hands of a mannequin in a shopfront window. 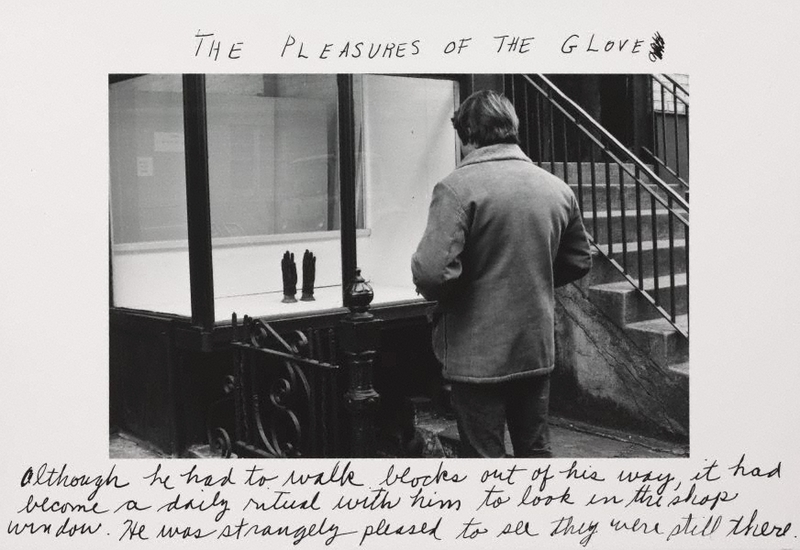 The perverse pleasure of desiring the gloves but not acquiring them leads him on a surreal adventure of first imagining his own glove as a queer furry tunnel that swallows his hand to the fantasy of stroking the naked body of a woman he sees on the bus with her own glove. 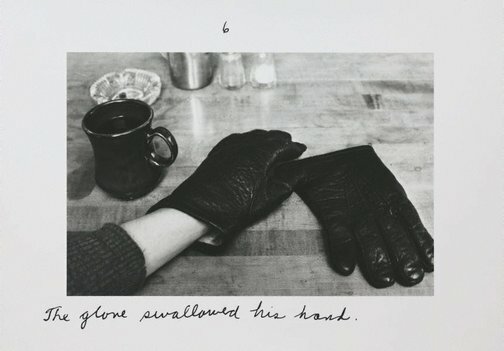 The text adds to the uncanny narrative of the tale in which the glove, as a fetish item, recalls André Breton’s bronze glove in ‘Nadja’ which, like the stiletto, posits woman as sexualised. 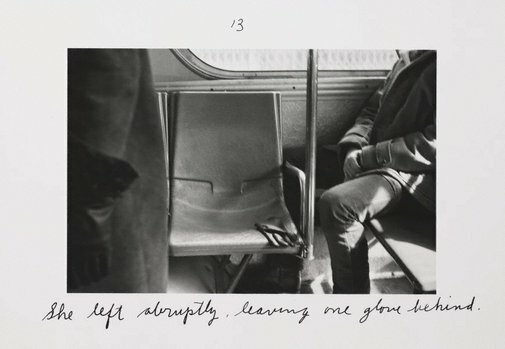 Signed l.r. 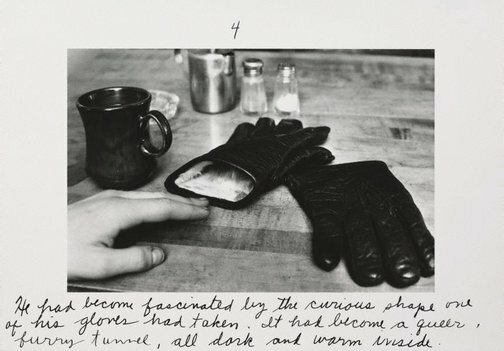 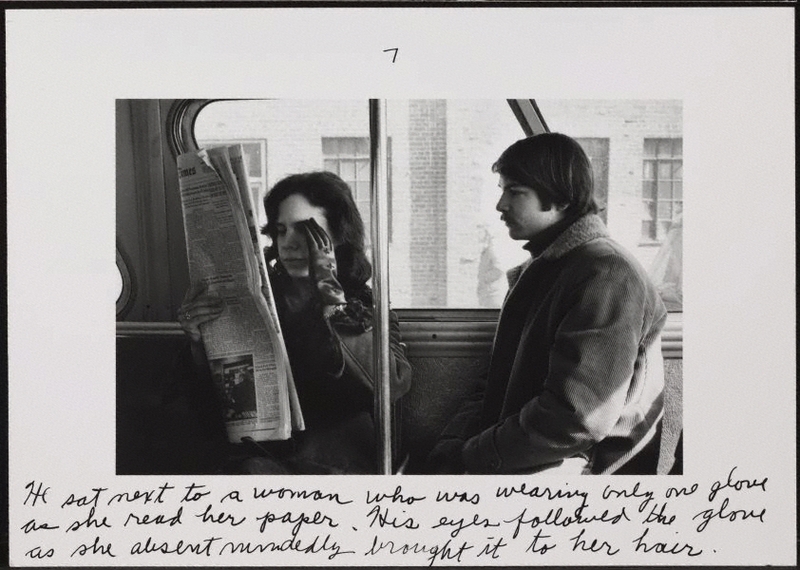 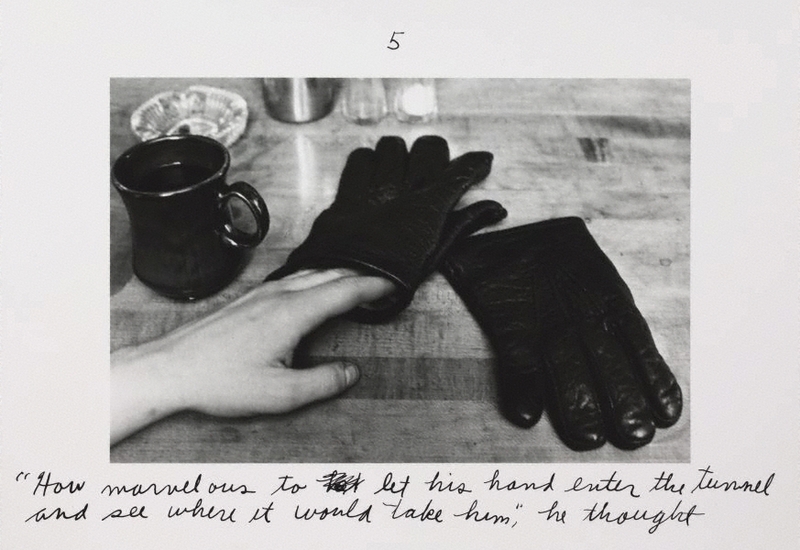 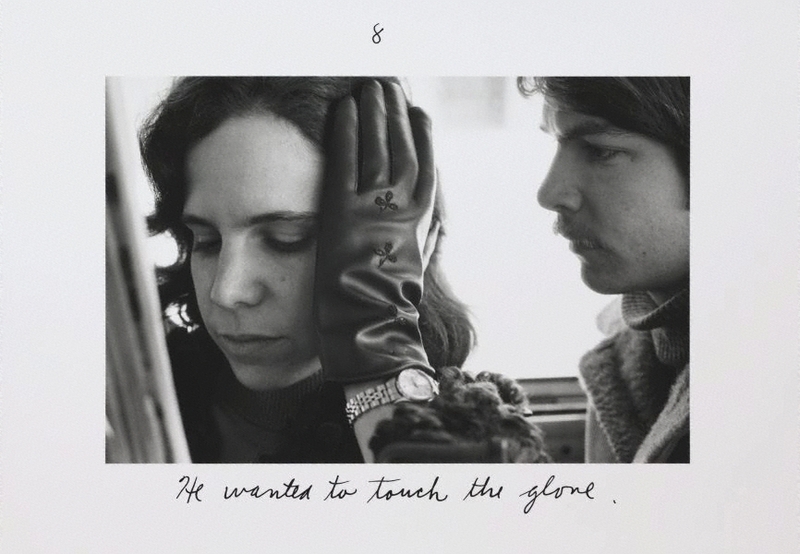 sheet [part n], ink "Duane Michals ...". Not dated.